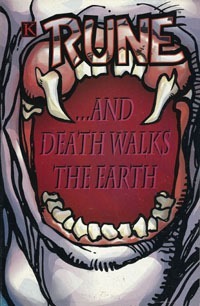 The 11 Ultraverse books in October 1993 were all part of a "Rune Month" promotion. 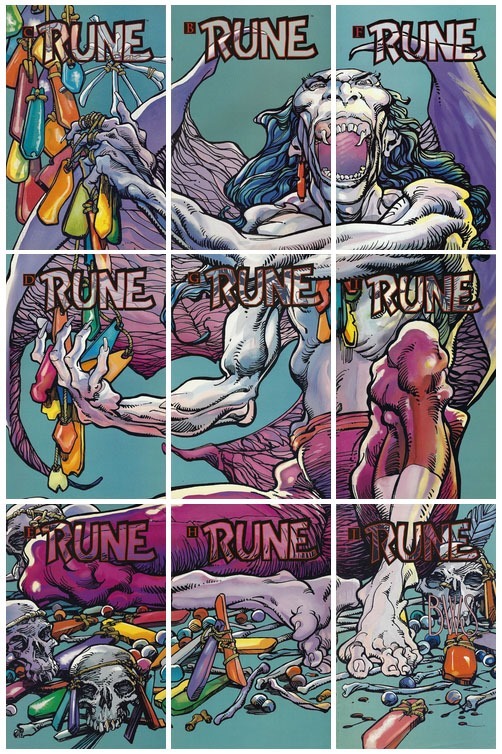 Buy all 11 titles, collect the coupon each contained, and mail away for a standalone Rune #0 comic (and a bonus The Solution #0 as well). Each of the 11 titles were presented as "flip books," that is–you had the main cover, but if you turned the book over–"flipped" it–you had a different cover, with the pages printed such that when you’d read from this side, everything was properly oriented as if it was a different issue…but it was still the same physical product. 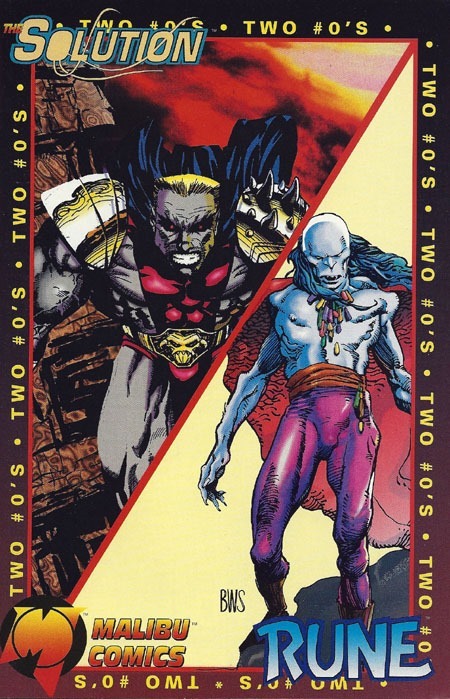 If you own two copies of these issues, you could file them separately as if they were two different comics. BUT, you did NOT NEED to buy two separate products to get "both covers," unlike stuff in 2018! The first and final chapters of the Rune stuff had their own "standalone" covers…the main difference being the text on each. 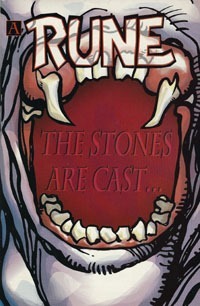 THE STONES ARE CAST… followed by …AND DEATH WALKS THE EARTH. The other 9 covers could "combine" to form a singular poster-sized image. These connecting covers presumably made it cheaper–commission one image, use it across 9 covers–PLUS it serves as a definite "bonus" for bothering to collect all the issues. …and here with the gutter removed to show the singular intended image. …and the back, with the coupon itself. 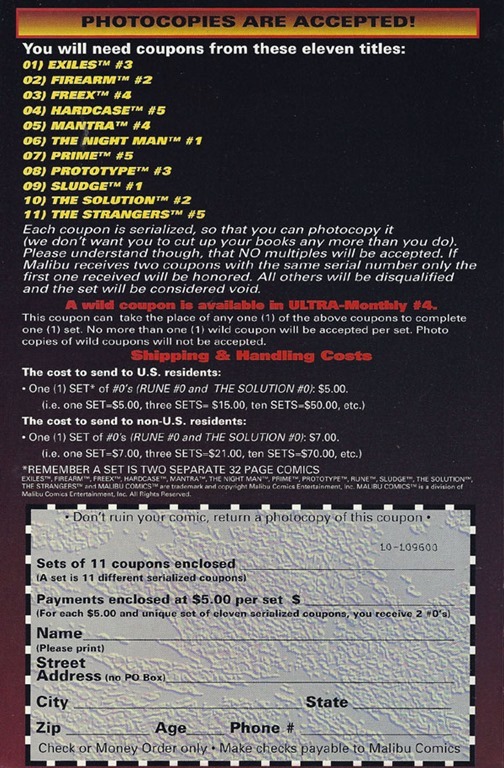 On these, you could make a photocopy of the coupon, rather than having to pull the insert or cut anything out of the comic itself. With the coupons, shipping/handling was "only" $5…for TWO comics! Sure, this was 1993, but especially in 2018, that does NOT seem bad at all! 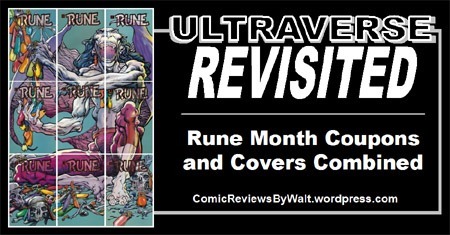 For the Rune issue at least, it was also non-essential and truly "bonus," as the content itself, the 33 pages of story, were serialized across the month’s 11 issues in 3-page chunks. 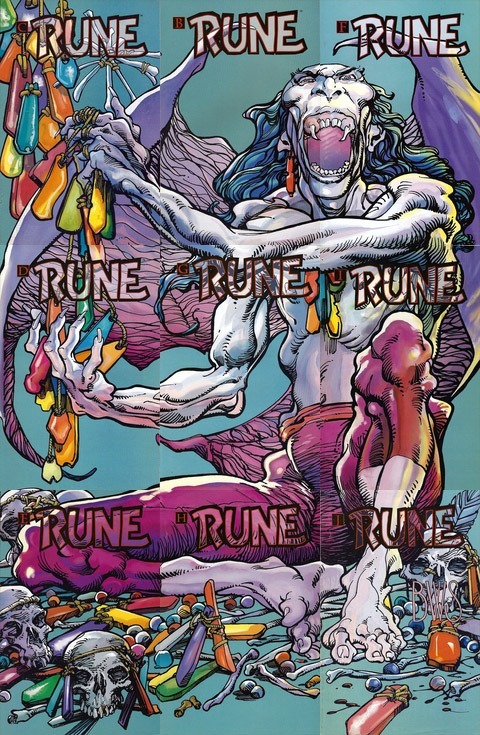 Bothering to order Rune # 0 itself was simply like ordering a "collected edition" that compiled the 11 segments into a single issue that could be read alone rather than digging 11 other comics back out to re-read or such. Of course, The Solution #0 is a different matter…but I guess in this regard, that is the true bonus. 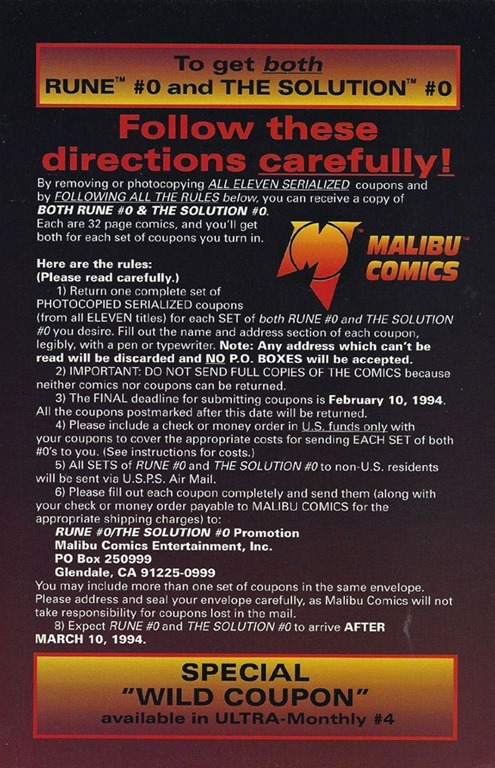 Collect the coupons for Rune, but since you already read Rune #0 in 3-page chunks if you wanted to, the second #0 issue would be all new content rather than "just" "reprinting" something already read. As I recall, the actual package that came included a standalone poster of the 9-part Rune image/#0 cover, and possibly a couple other things. 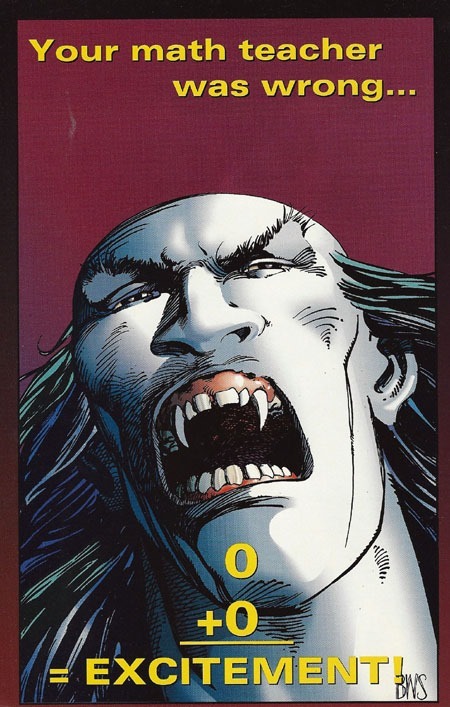 When I presumably cover the issue as its own standalone piece whenever I get to the January 1994 Ultraverse issues, I’ll most likely mention (if not show) what I have filed with my original copy.